YOU Concierge® which is at disposal 24/7 with the only purpose of making your journey in Rome unforgettable. YOU Concierge® is able to supply informtion in real time where ever you are. It will be enough to have a smartphone, add the number +39 392 1835136 to your contact list and sending a text message through the app Whatsapp® just for having information on where to go for dinner, asking the schedule hours of the Vatican Museum or Colosseum, reserving a tour for the day after or simply book a transfer service from the airport. 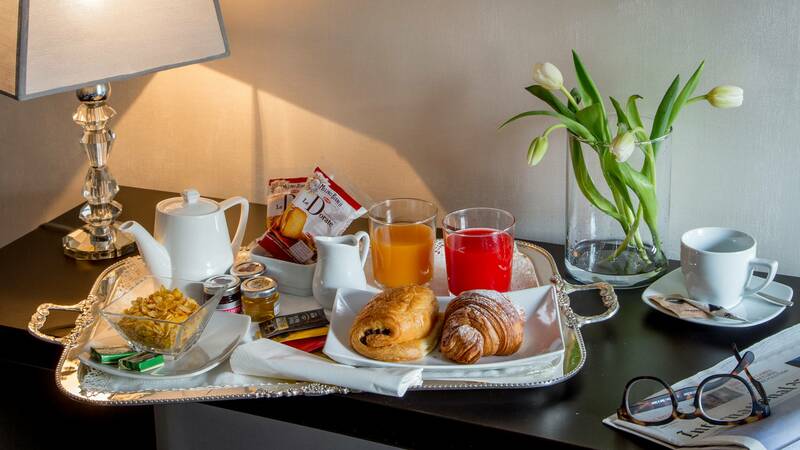 YOU Concierge® can be your ideal partner before your arrival at Palazzo De Cupis and obviously during your stay. The service is free and is operative exclusively through the app Whatsapp®. Palazzo De Cupis – Suites and View offer the possibility of enjoying our private transfer from or to the main airports of Rome, the main train stations of the city and Civitavecchia's port. The transfer service always guarantee these main standards: Mercedes-Benz car for no smokers, qualify and multilanguage Staff and on board payment with credit card machine available.